Hand Drawn Vector Abstract Cartoon Modern Graphic Happy Valentines Day Concept Illustrations Card With Couples People Together And You And Me Text Isolated On Color Background. Royalty Free Kliparty, Vektory A Ilustrace. Image 114772738. 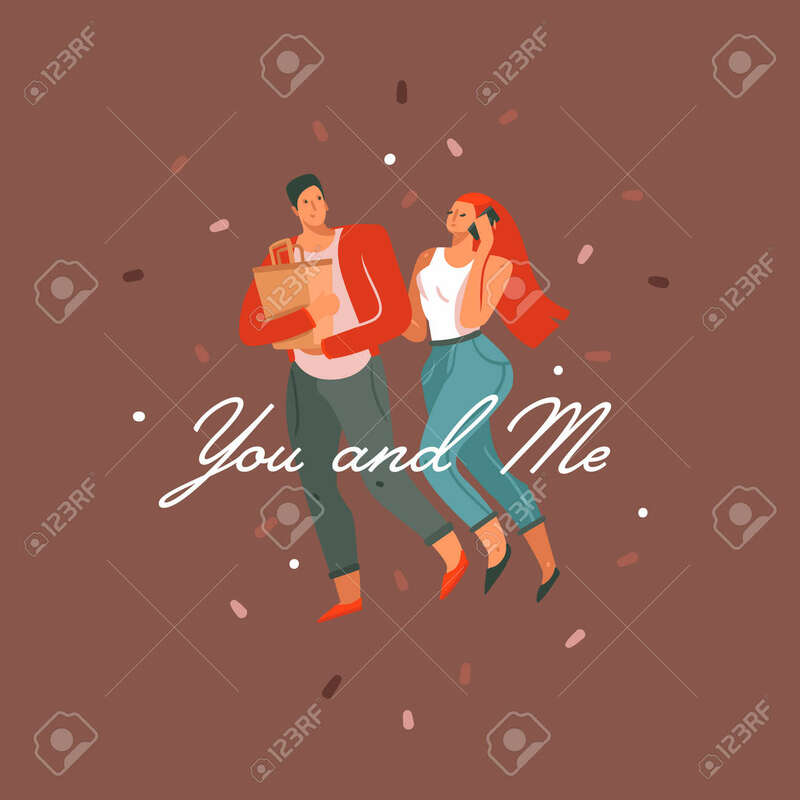 Reklamní fotografie - Hand drawn vector abstract cartoon modern graphic Happy Valentines day concept illustrations card with couples people together and You and Me text isolated on color background.